Last night, President Alan Garcia signed into law an end to the use of wild animals in circuses, following an investigation of circus animal suffering and a long campaign by Animal Defenders International (ADI) and local animal protection groups in the region. Other countries considering similar moves are the UK, Brazil, Ecuador and Colombia. ADI’s Stop Circus Suffering campaign is active around the world. Please help us achieve more victories for circus animals. ADI Chief Executive Jan Creamer said: “We are absolutely delighted and applaud this bold move by President Garcia and the Congress of Peru. With the ban in Bolivia and the current discussions in Brazil, Ecuador and Colombia, there is no doubt that South America is leading the world on this issue. Representatives Alexander Rebaza (APRA) and Jose Urquizo (Gana Peru) introduced the bill and have championed it throughout the legislative process. Congressman Urquizo invites parliamentarians from all countries to follow the example of Peru and ban wild animals in circuses, ending the suffering of animals. Congressman Urquizo said: “that will make us a more modern and civilized society”. The ADI investigation exposed terrible suffering of animals in circuses, including lions whipped and beaten, monkeys, bears and other animals kept in deprived and appalling conditions. In February 2011, ADI completed an enforcement operation with the Bolivian authorities and removed every single animal from circuses in Bolivia. 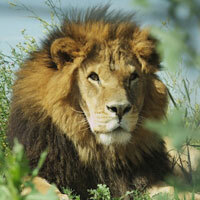 29 lions were moved from Bolivia to the United States.